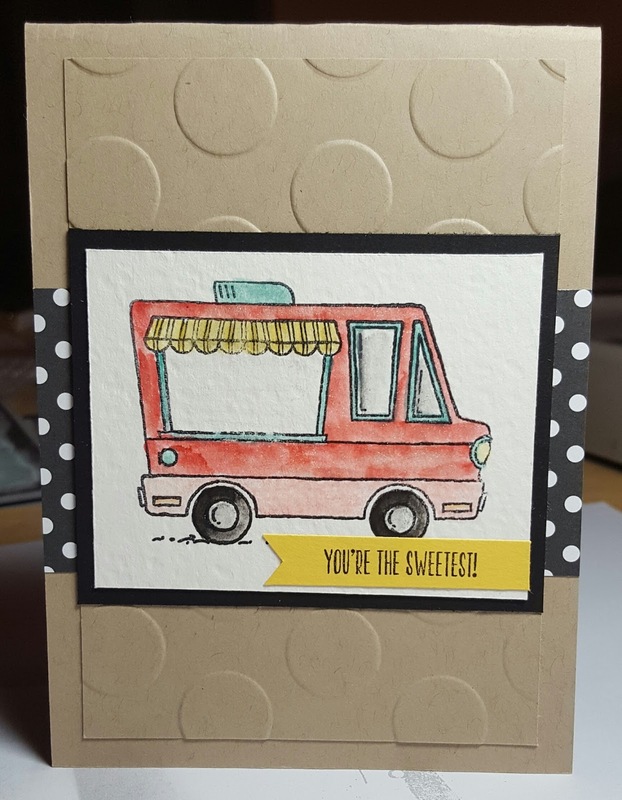 By The Shore Stamping with Jen Pitta: SSINK Sale-A-Bration Favorites! I'm headed to Rhode Island this weekend to hang out with some new friends at the Cropical Getaways weekend. 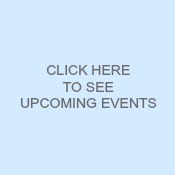 So looking forward to it. Before I go, though, I wanted to share with you a card I made for the Stylin' Stampin' INKspiration design team. Our mission today was to create something using our favorite Sale-A-Bration product. Picking my favorite SAB item, would really be like choosing my favorite child, but I created something with my favorite set of the moment (smile). Is this little Ice Cream truck not the cutest? I had so much fun coloring some of these images last weekend. 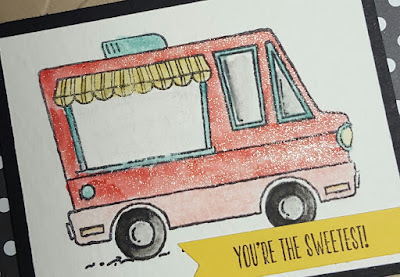 I used the watercolor paper, watercolor pencils and the aquapainter for this card. My favorite part of this card can't really be seen in the image above, though. Check out how glittery this truck is! Isn't that amazing? It seriously sparkles in real life. So how did I do it, right? I actually used my clear Wink of Stella glitter brush (love that thing) and my Watermelon Wonder ink pad to watercolor with the Wink of Stella! You simple treat the Wink of Stella brush just like an aquapainter or blender pen. So I squeezed my Watermelon Wonder ink pad together (while it was closed) to get a little puddle of ink on the cover. Then I dipped my wink of Stella brush in the ink and colored my little ice cream truck. So simple... and fun! 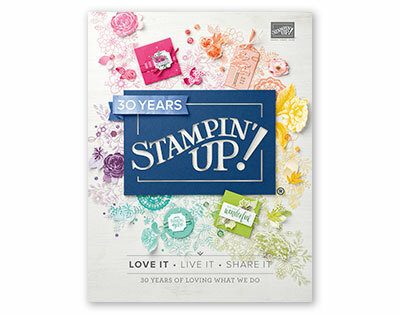 Be sure to visit the Stylin' Stampin' INKspiration blog to see all the "Sale-A-Bration favorites" that the other designers have. There is never a shortage of inspiration over there! Cute!!! Love the sparkle! And the embossed dots! Where did you get the stamp!? It's adorable! !